← Bar Snacks Blondies (Gluten Free)… The 11th Day of Christmas Cookies!! 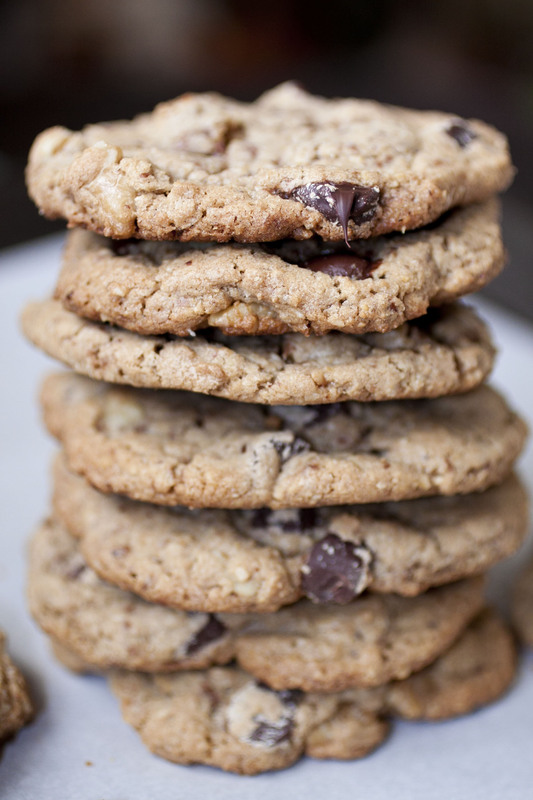 Classic Chocolate Chip Cookies (Gluten Free)… The 12th Day of Christmas!! As the story goes, Ms. Wakefield forgot to put the chocolate into her cookie recipe, and so she chopped the bar of semi-sweet chocolate into little pieces and stirred them into her basic cookie dough and Voila! 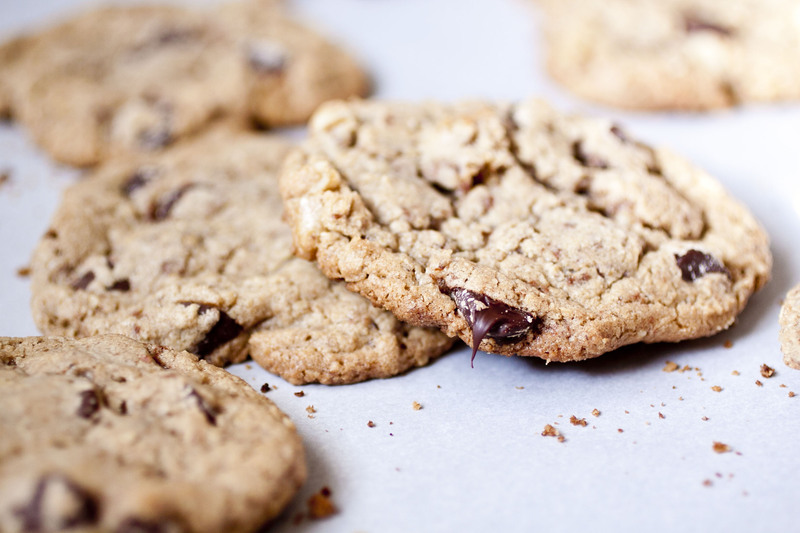 The Chocolate Chip cookie was born. And so on our last day, the 12th Day of Christmas Cookies, I present to you my version of Classic Chocolate Chip Cookies. 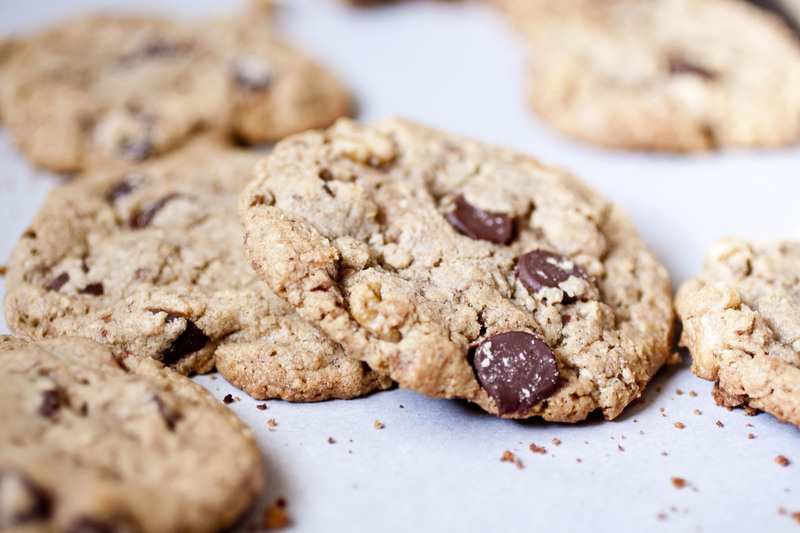 I’ve taken this timeless cookie and put my own spin on it by adding oat flour, almond meal, coconut flour, brown rice flour, and my secret ingredient… almond extract. This recipe makes a HUGE batch, so it can be halved. Preheat the oven to 375. Cream the butter and the shortening together. Add the white and brown sugars and mix well (This can be done in a large stand mixer with a paddle or by hand). Mix in the eggs, and extracts, combining thoroughly. Stir in the baking soda, baking powder and salt. 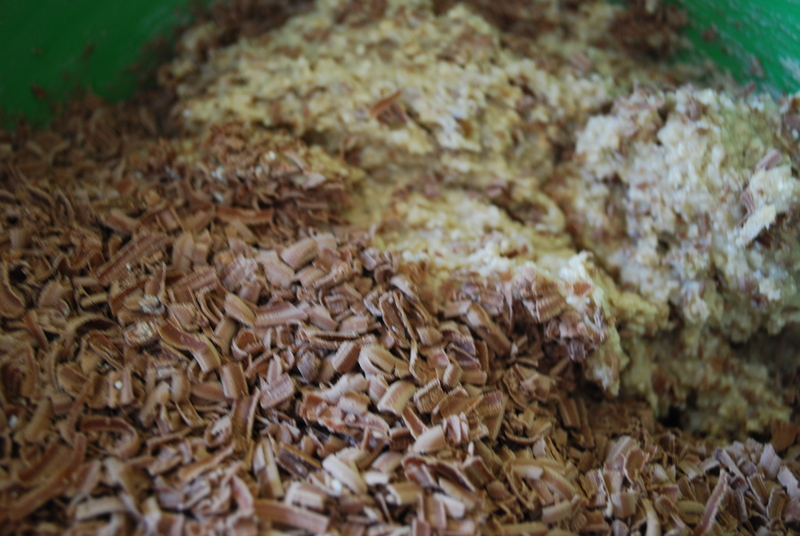 Stir in grated milk chocolate. Process the 5 Cups of gluten free oatmeal in a blender or food processor until it is finely ground into flour. Add the oat flour to the sugar/egg mixture and stir well. Add the almond meal one cup at a time until well combined, along with the Xanthan gum. Add the coconut flour, and the brown rice flour, and combine thoroughly. Dough will be stiff. Work chocolate chips and nuts into the dough until evenly distributed (I often have to do this by hand, kneading the ingredients into the dough). Drop by heaping Tablespoons (or use a small scoop), onto a parchment lined cookie sheet, flattening the dough balls with your hand slightly. Bake for approximately 9 to 11 minutes, or until cookies are puffed and turning golden on the edges. 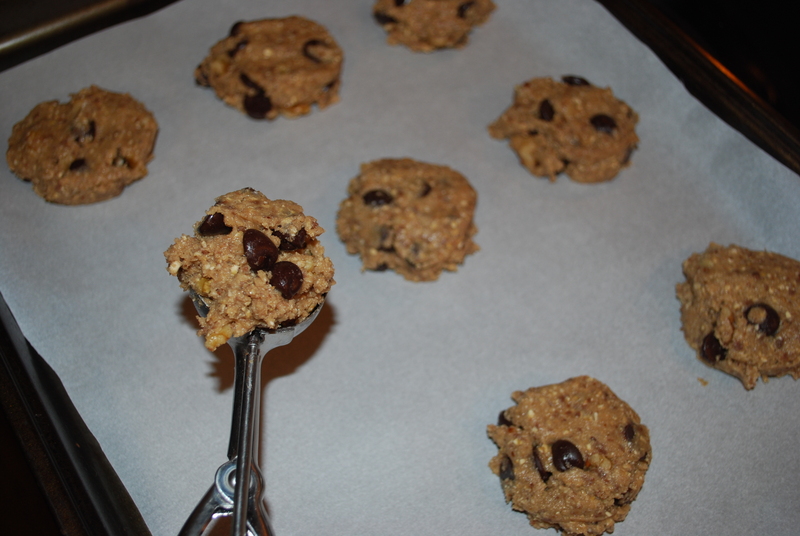 Let them rest on the cookie sheet for 5 minutes before removing to a cooling rack. 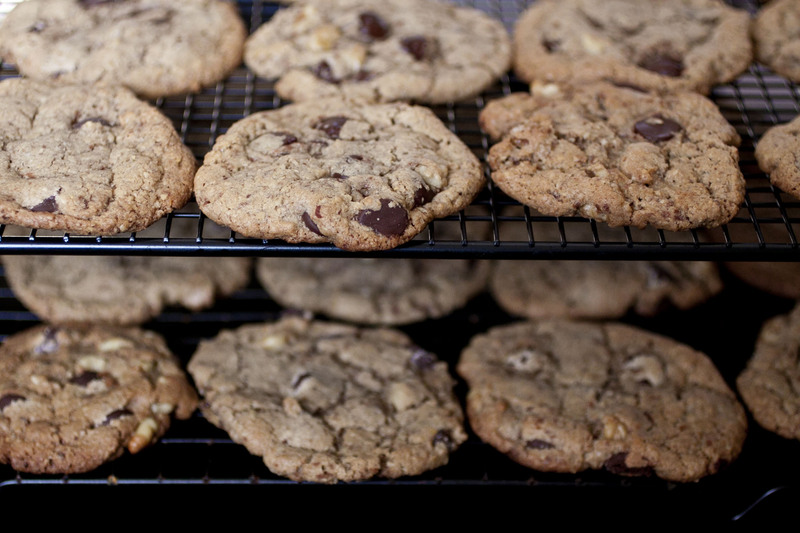 Makes: 85 to 90 cookies depending on cookie size. And so our 12 Days of Christmas Cookies comes to an end, and I have saved some of the best for last. 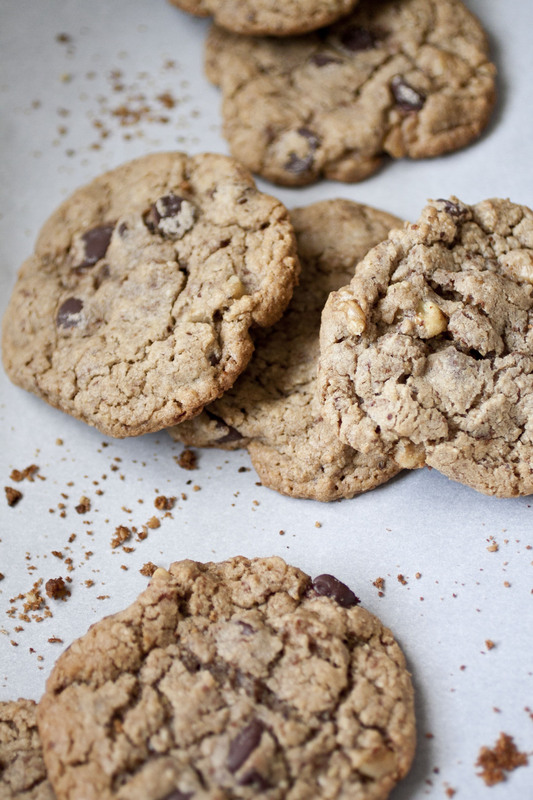 These cookies are the prefect mix of crispy on the outside, and chewy on the inside. The milk chocolate flavors the otherwise plain dough, and the almond extract gives the eater that “What IS that flavor” question that keeps them guessing. 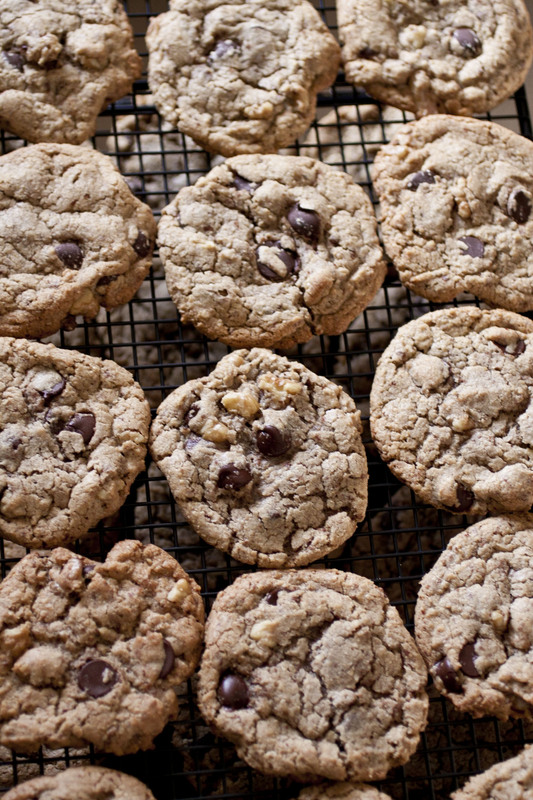 This batch is big enough to give several gifts, and still have some left over for yourself. They freeze well too, just in case there may be some left over, but once you taste them, I’m sure you will agree that the chances of that are slim. Enjoy, and Happy Cookie Baking!! 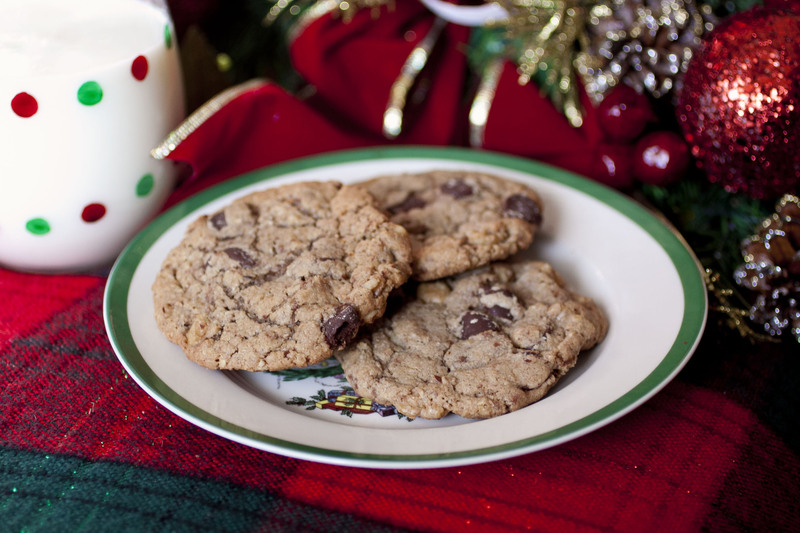 Sincerely Yours,I read your blog named “Classic Chocolate Chip Cookies (Gluten Free)… The 12th Day of Christmas!! | Gluten Free Living by Pepperchick” regularly. Your story-telling style is awesome, keep doing what you`re doing! And you can see my website about 李宗瑞影片. Thank you! I’m glad you are enjoying my blog. Happy Holidays.